Sylvia (spiritual name “Charan”) wears many hats — from IT Professional to wife, mother and grandmother. 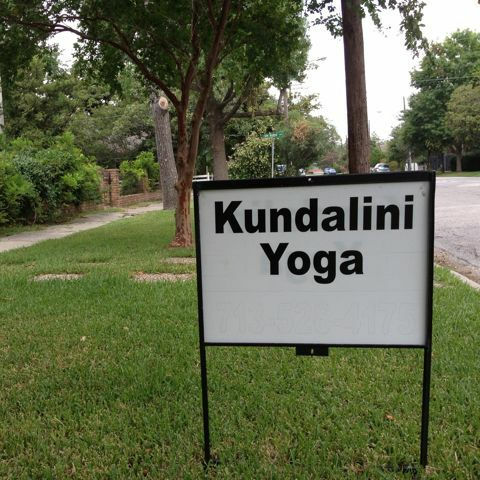 But her passion is Kundalini Yoga and Meditation. 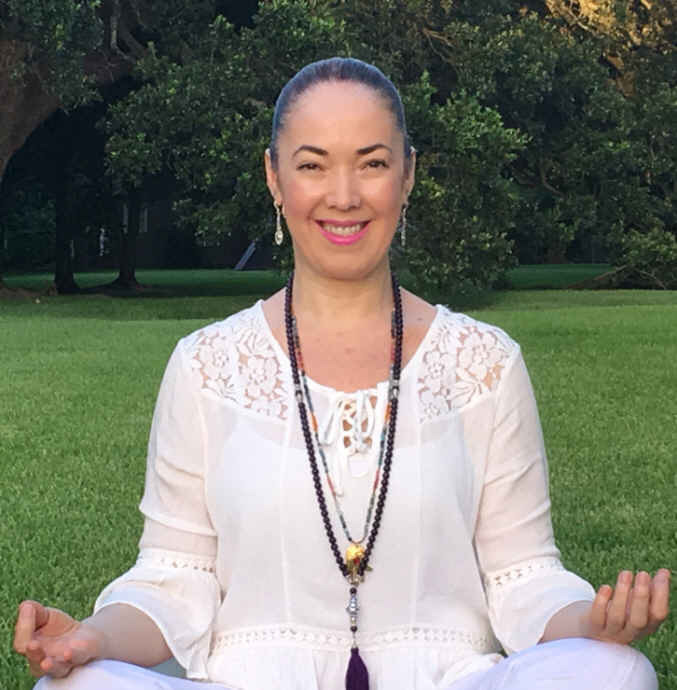 After many years searching for self-healing, by practicing various forms of yoga, meditation and energy-related healing modalities, she found that the technology of Kundalini Yoga is what works for her. 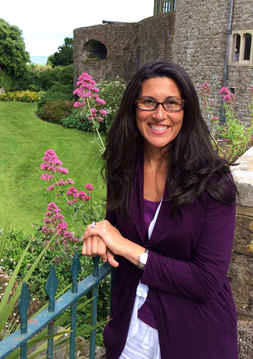 Her mission is to help others find what she found — deep healing on all levels,stress reduction, peace, and a better quality of life. Having begun her own yoga practice later in life, she feels that yoga can be practiced at any age and flexibility level, and wants to share the many benefits with others. 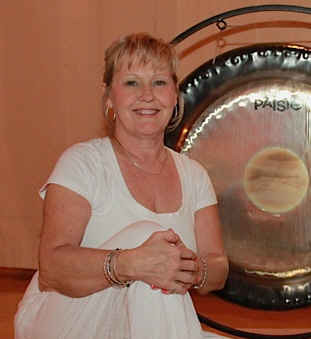 Her specialty is gentle yoga, with inspiring music, meditation and relaxation to the healing sounds of the gong and crystal bowls. Sylvia is an IKYTA certified, RYT-200 yoga teacher, and teaches at Yoga Central on Tuesday evenings 6:30pm. 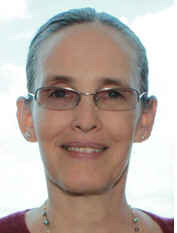 She also has the honor of facilitating full moon and new moon meditations at our center. Charansev Kaur (Mary) brings a gentle, lyrical teaching style to her classes. With a 27-year background in teaching and learning (from Pre-K children to doctoral students), she guides yoga students through classes with clarity and compassion, always with beginners in mind. 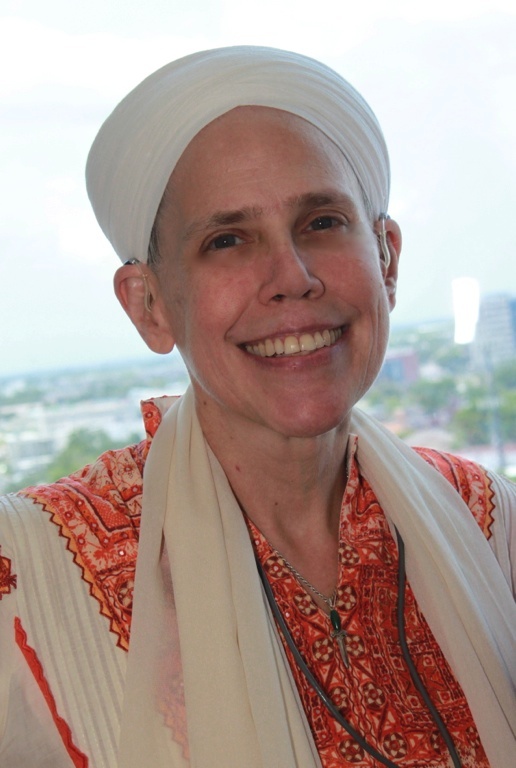 Charansev began teaching Hatha yoga in 2000, and now specializes in teaching Kundalini Yoga. It is her response to a deep calling to spiritual teaching in the Aquarian Age. Her wish is for each student to realize their innate wholeness, personal power, and infinite nature. Charansev teaches at Yoga Central on Monday evenings 6:30pm. Having been promised a gong bath, Jacinta unknowingly attended her first Kundalini Yoga Class! What she discovered was a yoga practice that included her most endeared pursuits, spirituality and mysticism, music and meditation, neuroscience and empowering exercise. She began a regular Kundalini Yoga practice and within a year had overcome conditions she’d been unable to resolve until then. When Yoga Central announced it’s inaugural Teacher Training program, she signed up immediately. Kalyan Darshan is now a teacher with classes on Thursday and Friday mornings at 10am and guides meditations for peace. She brings to every class the powerful practice of chanting mantra. Experiencing creating these sacred sound currents together as a group is uplifting, energizing, healing and joyful! Kalyan Darshan brings more than two decades of live music experience as a vocalist, songwriter, musician and DJ. She holds a Bachelor of Science in Anatomy and Physiology, a Bachelor of Metaphysics, and is a Reiki Master, Sound Healer and Meditation Guide. She officiates marriages and performs divine services as an ordained metaphysical minister with the International Ministry of Metaphysics. Kalyan Darshan supports the conscious awakening of humanity as we enter the Aquarian Age and very much looks forward to practicing with you soon. You can join Kalyan Darshan’s classes on Wednesday evenings at 7pm or on Thursdays and Fridays at 10am. 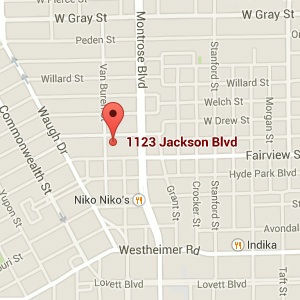 Puran Nishan teaches every Monday at 10:00 a.m. 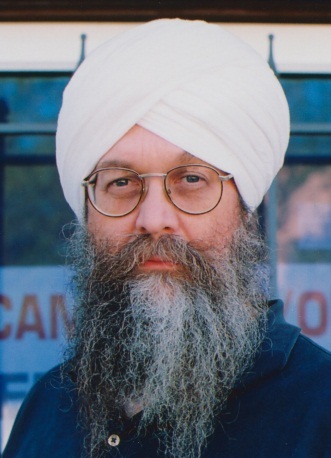 Sat Kartar teaches Sunday mornings 8:30am. Satmitar teaches on Thursday evenings and often offers labs, workshops and moon meditations. Check our website for her latest offering! 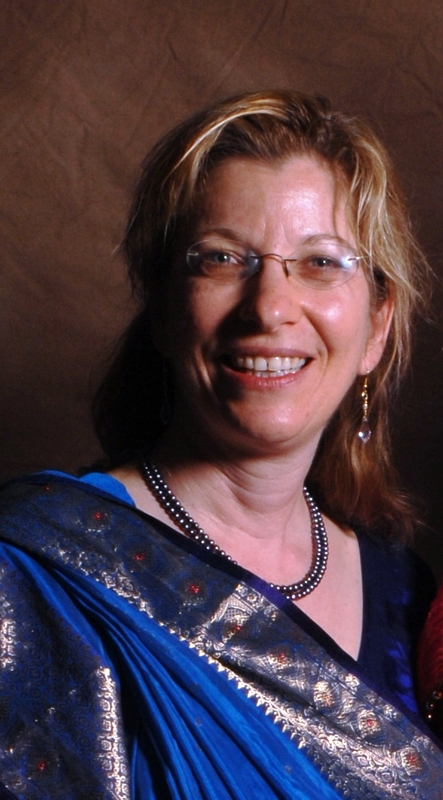 Savitri Seema teaches Tuesdays at 10am and Saturdays at 8:30am. Sat Siri’s classes are for everyone – meditative, rejuvenating and relaxing. Whether you’re taking your first step, or the 100,000th step of your yogic journey, Sat Siri’s classes provide a safe space where you can start where you are, enjoy your practice, and focus on personal transformation and renewal. Sat Siri began practicing yoga in 1969. 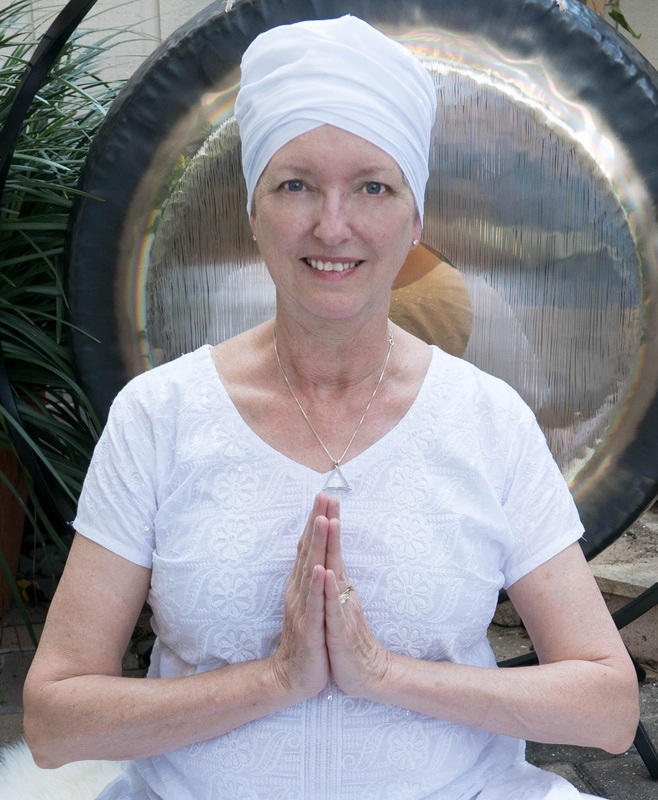 She had the honor of studying directly with her respected teacher, Yogi Bhajan, for 31 years, and continues training with Guru Dev Singh, preeminent healer & Teacher of Sat Nam Rasayan®, for the past 29 years. 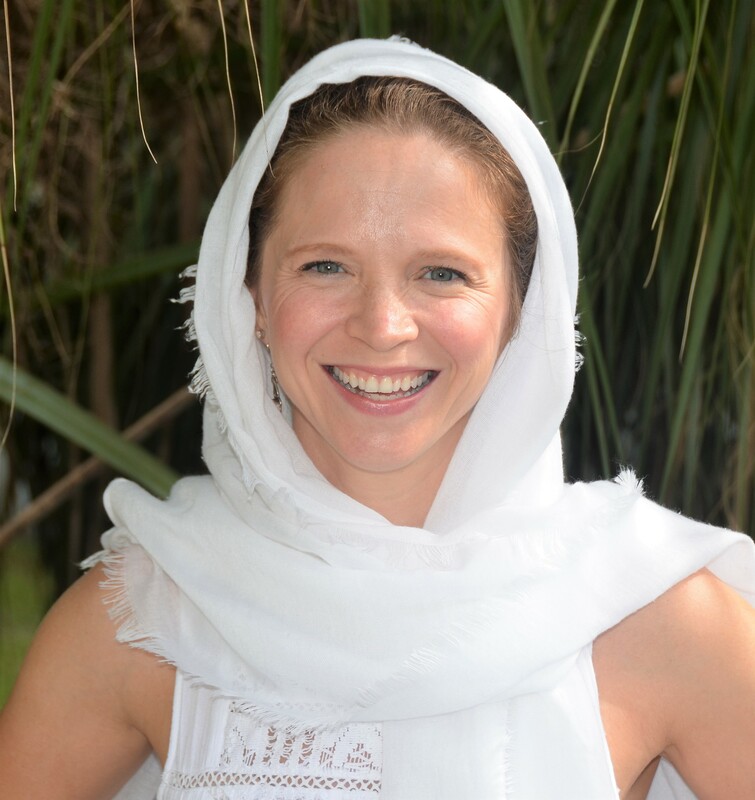 As Co-Director (Emeritus) of Yoga Central Houston, International Kundalini Yoga Teacher-Trainer, and Sat Nam Rasayan® Traveling-Instructor, Sat Siri has facilitated the training of hundreds of students, teachers, and practitioners from around the world. She has traveled extensively, offering Sat Nam Rasayan® workshops, yoga teacher training courses, as well as classes at Solstice Yoga Festivals, and Sat Nam Rasayan® International Conferences in Mexico and Italy. Sat Siri is a Certified Kundalini Yoga Teacher, and an Experienced Registered Yoga Teacher (E-RYT 500) with the Yoga Alliance. Guruatma has been immersed in Kundalini Yoga for 35 years. She offers an energizing, early-morning yoga class “for anyone who needs to go out in the world that day with their head on straight, loose-ends gathered and faculties intact!”, as she puts it. Whether you have a demanding day at the office or a busy day at home, flexibility and an inner reservoir of vitality is needed to tap into and access your full creative potential. In her classes, you will practice yoga sets and meditations to strengthen and balance your nervous and glandular systems for coping with daily challenges, and to be more effective and success-FULL in your communications and meetings. She also designs custom-made, life-elevating yoga and meditation programs for her students, based on Yogi Bhajan’s ancient Akara Numerology system. A survivor of chronic-critical illness, Guruatma used a combination of conventional medicine, alternative health care practices, diet, yoga and meditation to conquer the prognosis of this condition. Now she works with people all over the world who are challenged by chronic and critical illness. She created a program called 6 Stages and 22 Steps for Chronic and Critical Illness based on her experience. Visit her website, http://www.yogic-tools.com, to learn more about her unique work. Hari Kirn comes from a long genealogy of family healers dating back through more generations than can be remembered. Her healing heredity was strengthened though an ongoing and in-depth study of contemplative meditation and Kundalini Yoga since 1978. 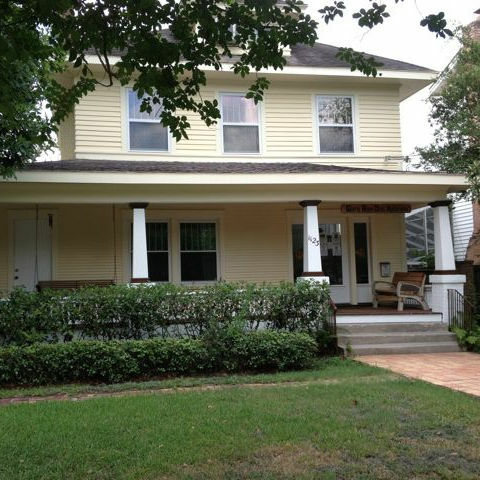 She has almost 4 decades of teaching experience, teaching throughout Texas, the United States and South America. Hari Kirn’s specialty is Sat Nam Rasayan®, a healing that is based on consciousness that has the capacity to become transcendent. She shares her many years of experience with this amazing healing modality in workshops offered at our center from time to time. Check our home page for her next session. She also teaches a meditation class at 10am on Wednesdays. Pavan Dev Kaur (Jeannette Darcy), MS Religious Studies, IKYTA certified, RYT-200. Pavan Dev is a freelance lecturer on comparative mythology, Indian philosophy, and the history of yoga. She is an author, engineer, world traveler, Kundalini Yoga teacher, and practicing yogini. In addition to working at NASA for 30 years, she has over 30 years of experience in many types of yoga and meditation. She has studied Sanskrit and Indian philosophy at Rice University, the American Institute of Indian Studies in Pune, India, and at the University of Chicago where she earned her Masters degree. 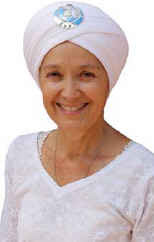 Her daily sadhana practice is firmly rooted in Kundalini Yoga as taught by Yogi Bhajan. 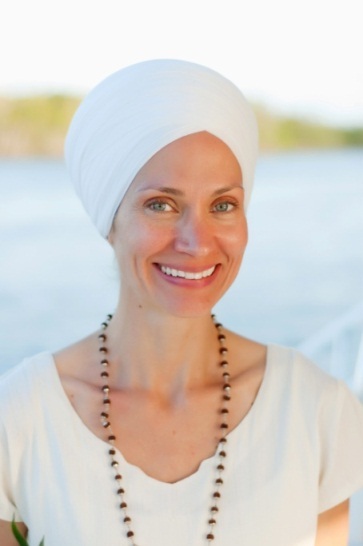 Catherine Bane Rumph/Sarab Sevak Kaur – BA in Communications, Level 3 Art & Yoga Teacher, Certified KRI Teacher of Kundalini Yoga as taught by Yogi Bhajan®, Co-Creator of Everyday Goddess and Founder of Art & Yoga for Everybody. Catherine calls her practice of Kundalini Yoga “the missing link.” After receiving her Bachelors Degree in Communications from Loyola University New Orleans, Catherine’s career in Sales and Marketing skyrocketed. She became a top sales producer for one of the nation’s largest home builders. Using her training experience, she then created Spread Success – a targeted marketing consulting firm. Coaching small business owners on growing their market share assisted Catherine in her wider understanding that “success” has a dramatically different definition for each individual. This, and giving birth to her three children, led to redefining her own idea of a successful life. After years of spiritual journey work, including Contemplative Prayer, Bible Study, Twelve Step Recovery, Silent Retreats, Traditional Meditation and Creating Art through Meditation, Catherine was introduced to Art & Yoga with Hari Kirin Kaur Khaksa, Master of Kundalini Yoga. Through a daily art, yoga and meditation practice, Catherine has learned to comfortably and joyfully live inside her own skin. Finding a connection to her physical body was the “missing link” to living fully in the here and now. 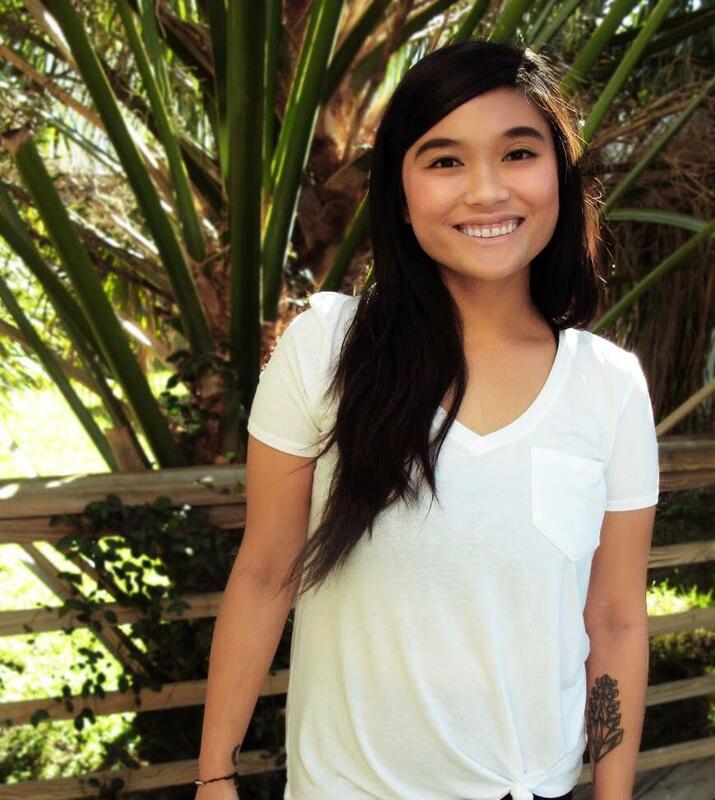 Her passion and focus is sharing how to “Bloom where you’re planted” through the practice of Yoga, Meditation and Art. 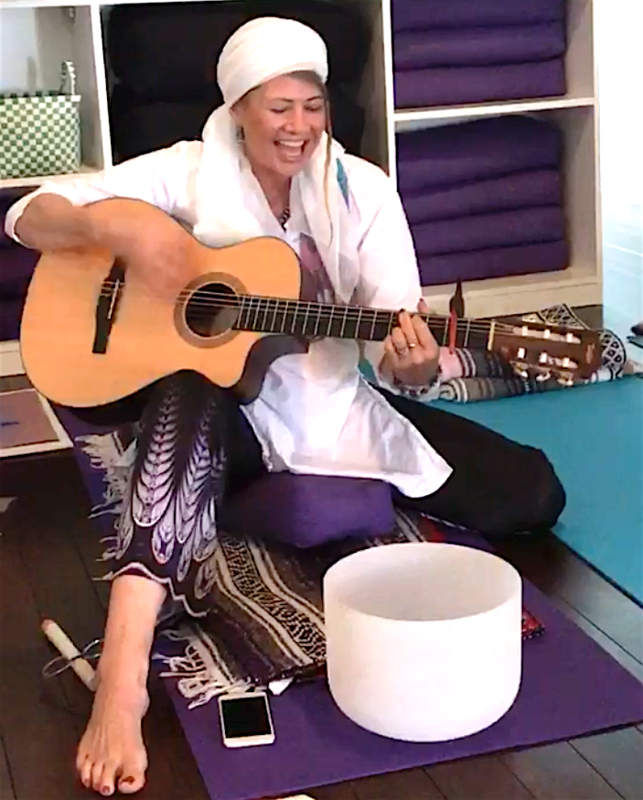 Combining these practices allows Catherine to embody her spiritual name Sarab Sevak Kaur, The Lioness of God who is complete within herself in Divine Service to all. Catherine is a Clear Lake native and currently lives with her husband of many, many years and their three children in Taylor Lake Village, TX. Sat Kartar, sculptor, yogi and superb gong artist has been teaching kundalini yoga for the past 20 years. 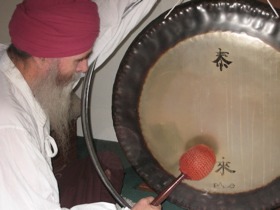 Sat Kartar also teaches gong techniques in private classes.